In this part of the northern hemisphere, it’s the time of short days, long nights, miserable weather, historically implausible religious stories, and mulled wine. Well, it’s a bit past— Saturnalia is probably peak mulling time—but it’s still cold enough out to keep on mulling, and I’ve been iterating my recipe. I’ve never been quite satisfied with my mulled wine, but this year, I think I worked out what I’ve been doing wrong. It’s the wine part. It’s not that I was using bad wine, just that heated wine can be a bit overpowering. The trick seems to be to make something hot, spiced, and tasty, and then add wine to it—but you don’t necessarily need all that much wine. 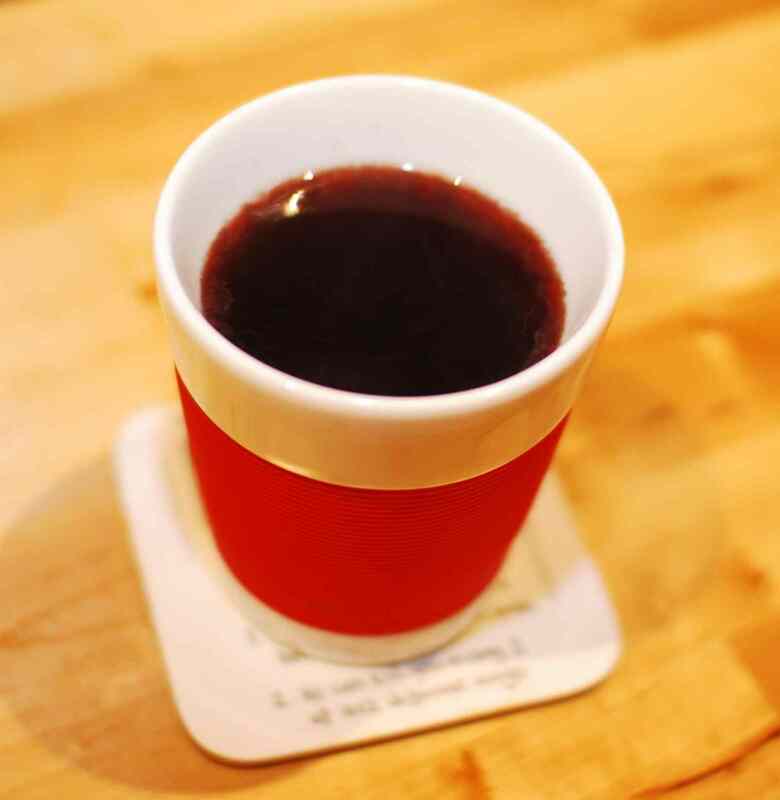 In other words, (my idea of) good mulled wine is a hot drink that contains wine, and not just wine with spices in. Given that many mulled wine recipes call for the addition of hard liquor to neat wine, this recipe is a bit contrarian, but I think it works—in terms both of flavour and of long-term liver function. Put everything except the wine and sugar in a saucepan, bring to the boil, and simmer for 10 minutes or so. Remove the orange slices and teabag and discard (the orange pith will otherwise quickly make it bitter). Add sugar and wine and reheat but don’t boil. It’s not final. Recipes never are—I might cut the sugar a bit next time, and maybe add some sliced ginger—but I think it’s heading in the right direction. It’s all a matter of taste, though.